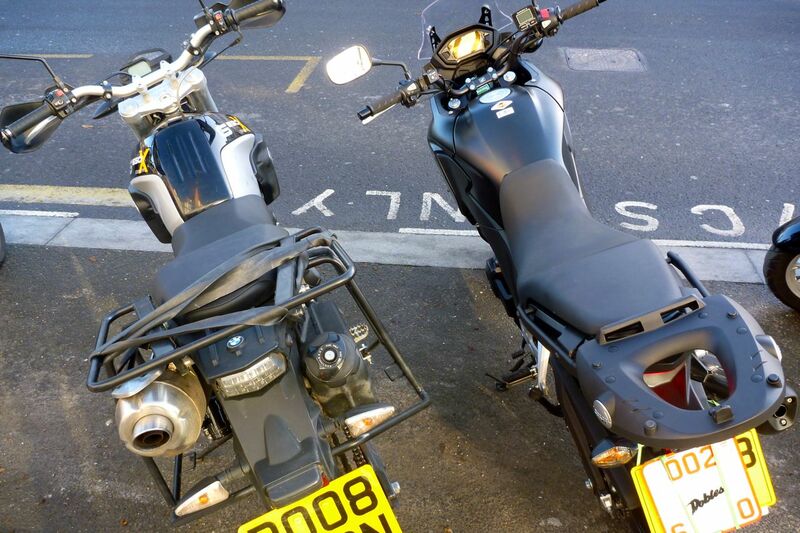 A few months ago I had a brief ride on Nick Plumb’s XTZ1200 (left). It was only a few miles but the creamy smooth pulse of the big, lazy engine was spellbinding. It took me back 36.6 years to my old Ducati (right). In 1978 the 900SS was one of the coolest bikes around and let me tell you, when you’re 18 that has quite an impact! Of course the S10 is not a 90° V-twin but a more compact parallel twin. Yamaha re-created that Ducati feel by offsetting the crank to 270°. 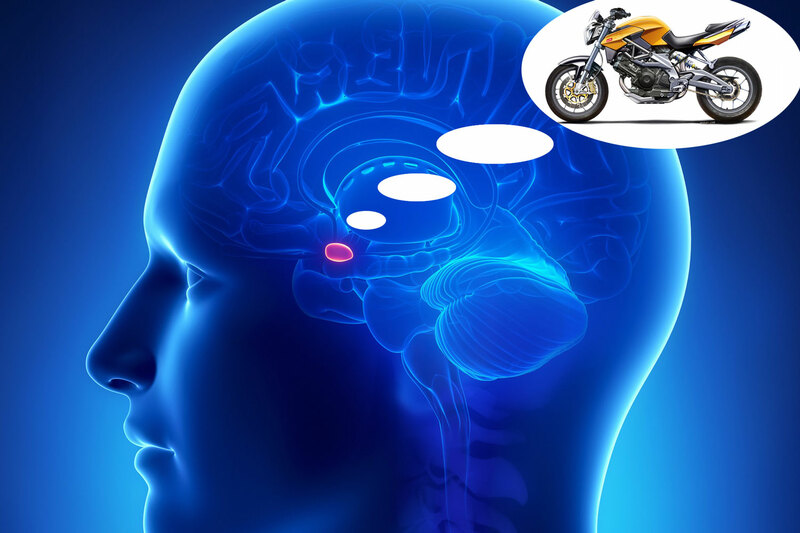 Some say the V-twin feel is the only benefit (and something which neurologists say stimulates the Neanderthal amygdala – right – deep in the human brain). Others claim the firing sequence has an advantage in converting torque into real-world traction. Also, because one piston is always at max velocity as the other comes to a momentary stop at BDC or TDC, this momentum, or what I’ve dubbed as ‘kinergy’, “assists with accelerating the [other] piston back towards its maximum velocity” as I just read on the internet. You don’t get that with your regular ‘up-and-down, up-and-down’ 360- or 180° parallel twins. 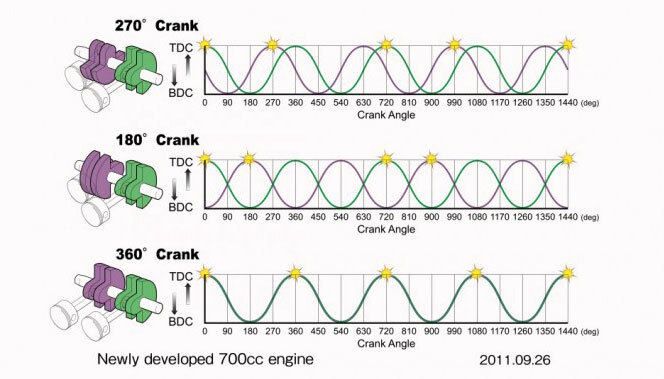 It’s the ‘Big Bang’ theory of unsynchronised but closely paired – rather than evenly timed – power pulses, as illustrated in the Honda graphic, right. That was produced to illustrate the benefits of their 670-cc moderate-power/high-mpg Integra super scooter and the closely related NC700 models. 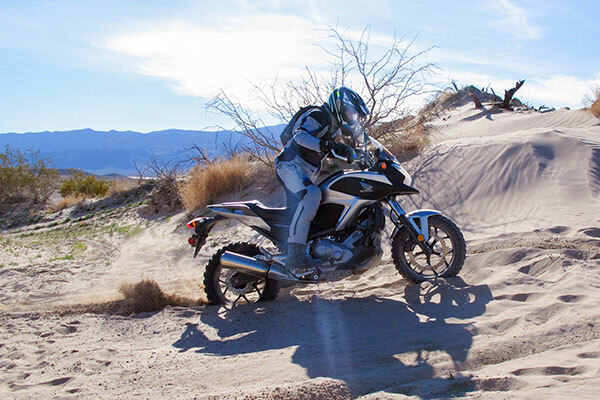 Above left is a manual (non-DCT) NC700X getting tested by RideApart in Nevada. Nice, but a bit heavy. 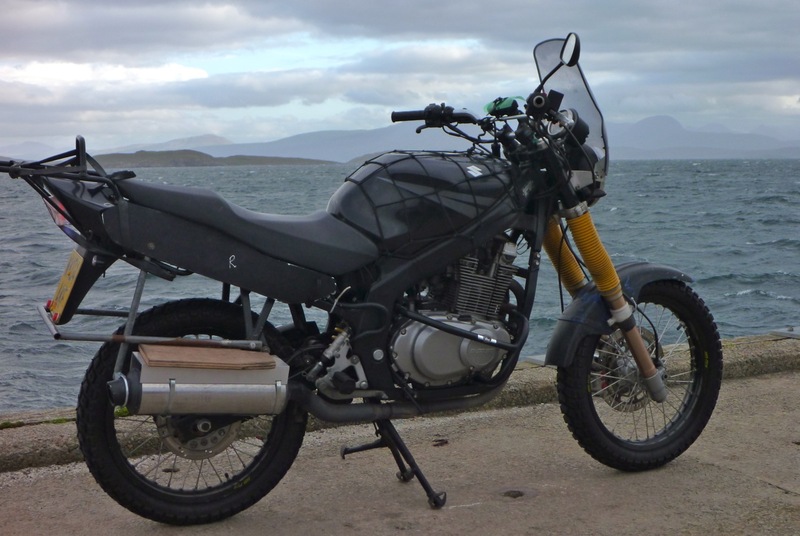 So is an S10: a quarter-ton, £10k tank-too-far to be a practical travel bike. 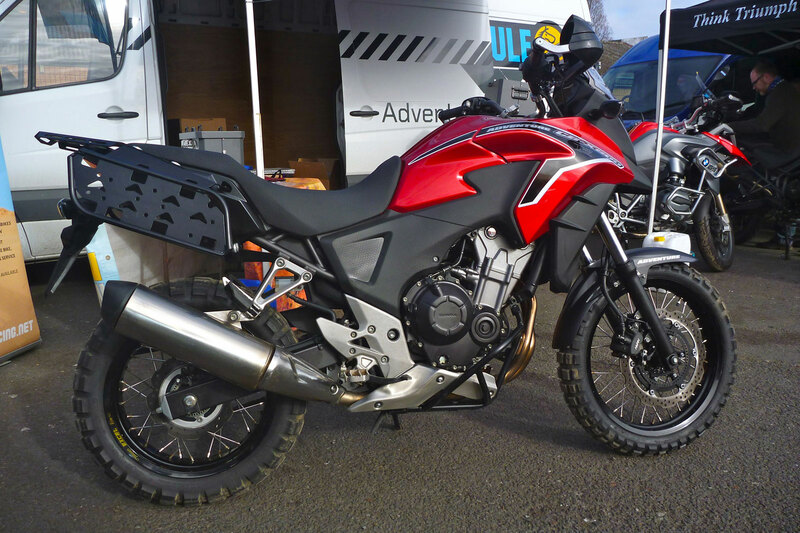 Turns out the new CRF1000L Africa Twin (left and below – my 2016 quick spin) is offset too and sounds as creamy as a Waitrose rice pudding in the videos. But what other 270° twins are there out there suited to the next project? Not so many it seems: a couple of Triumphs including the Scrambler (right), the Honda NCs as mentioned, Yam TDM 850s and 900s from the mid-90s onwards, and the hit bike of 2014: the MT-07. 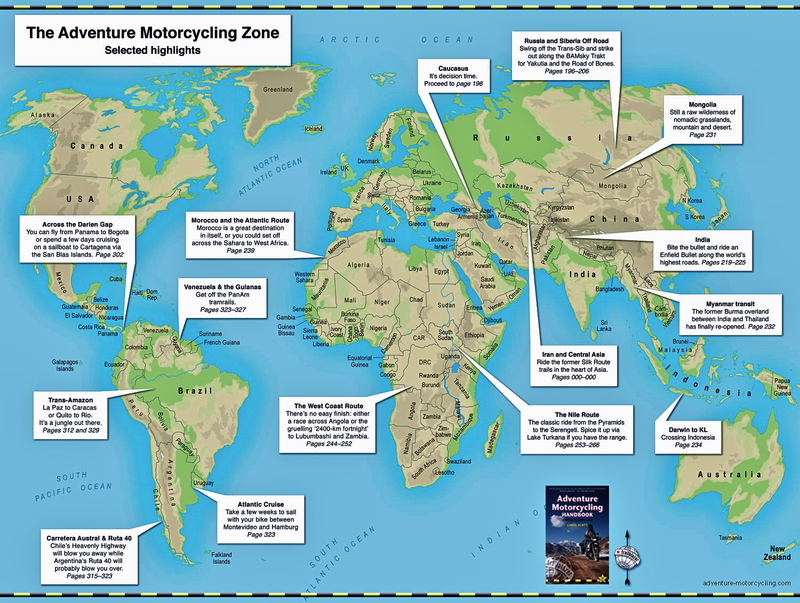 As I suggest in the book, a mid-weight parallel twin is all that’s needed in a do-it-all travel bike. Adequate power, smoother than a big single with similar performance and price, potentially good economy plus light and simple enough to be manageable on unsealed roads. 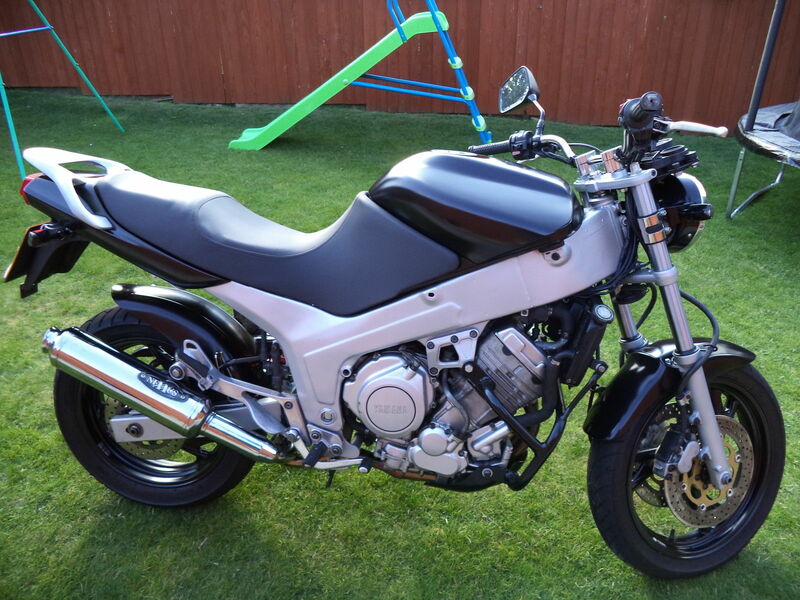 That’s what my rudimentary GS500R project (left) tried to be – I should have persevered with that. 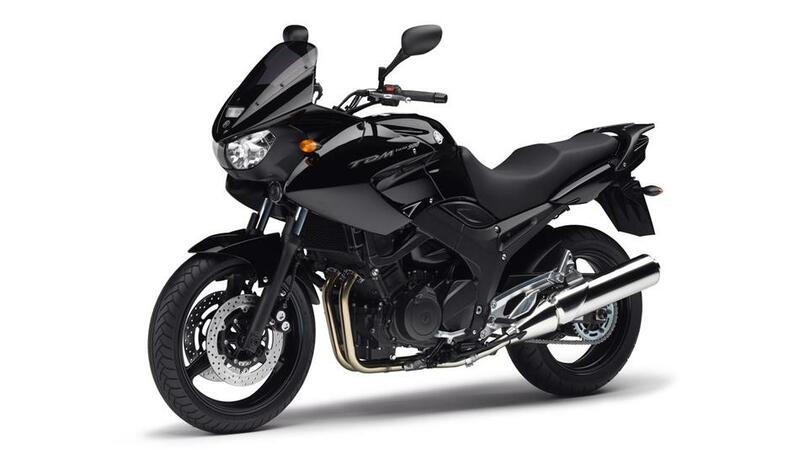 But luckily I came to my senses and got a CB500X. Honda hit the fuel consumption ball right out of the park with the NCs and about time too. The secret was moderate ‘non-100-hp/litre’ power. I like to try new stuff so the NC-X could be a contender. I’ve yet to ride one but while the weight is positioned low in the chassis (left), a manual 700X is still a 220+ kilo bike on 17-inch wheels and which around here goes for £3.5k used – or £4.5k for the more desirable DCT. 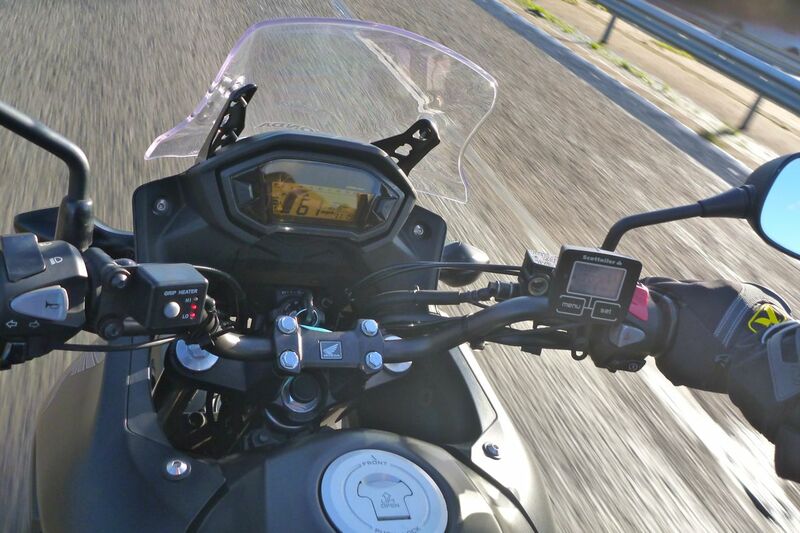 If you’re going to try an NC700-X, it ought to be the auto that all owners rave about. CB500X [I later bought one] It may not run an asymmetric crank like the new CRF1000L, but I like the new look that Honda cooked up in 2013 for the CB500X as well as the NC-X, the Crossrunner and the rest of their MoR Advs. Beaky sure – but sleak[y], too. Someone described the 500X as a 3/4 sized Crossrunner. Alongside my former XCountry (right), the 500 looks slim and with a notably lower seat – all pitched at ‘women or beginner riders’, so they say. Pulling away I was struck by how astonishingly smooth it was and remained that way right up to an indicted 80mph when a bit of harshness crept in. If I hadn’t known, I’d have never guessed it was a twin, bar the fact it’s not as heavy as a four and as slim as some singles. And even with a vertical linkage nearly a foot long, the six-speed gear change has that satisfying Jap snick that I’ve missed on the shunt-shifting 650X, plus the lever was exactly where my foot liked it. Mark up one point for ergonomics. My chilly ride was mostly on motorways then some back roads and roundabouts around Gatwick airport and left me with nothing to complain about. With some 46hp there was easily enough poke to overtake at speed, no snatchiness in the transmission or glitches in the fuelling and great brakes. Suspension – where cost cutting is most noticeable these days – worked well enough too, though on smooth main roads it wasn’t really tested. Most cheap stuff will do the job – it’s when the road breaks up or a load is added that the flaws appear. The standard low screen must have done its job too as I don’t recall any strain at around the legal limit. 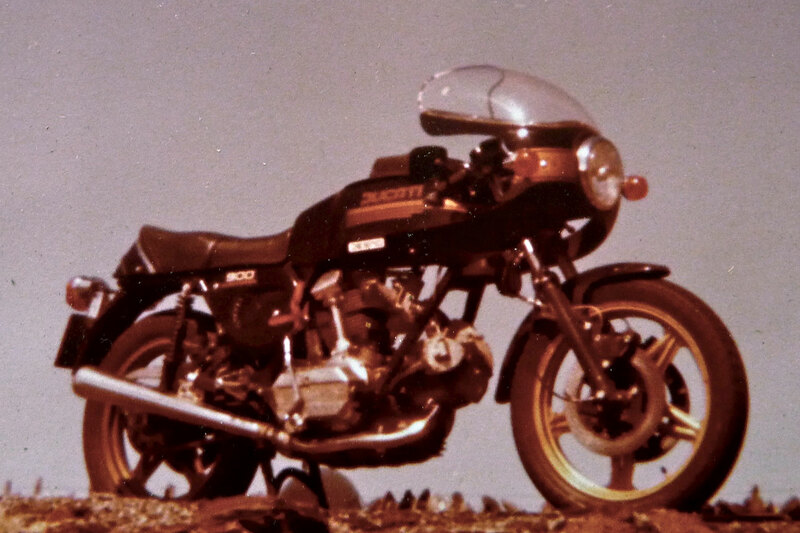 This 9000-mile-old 500X had some welcome Oxford heated grips plus one of those over-complicated electronic Scott chain oilers (more here). On the back was a Givi tail rack which hangs out like someone walking the plank and is an ergonomic abomination. I’ll have more to say about that in the near future. I know it’s convenient and all, but the thought of a top box perched way out there is enough to make me want to call the Samaritans. One reason I’ve taken an interest in the 500X is that UK-based Rally Raid Products have developed a range of parts including properly uprated suspension, replacement wire wheels (right), plus the usual protection and load-carrying accessories. Better known for rallyficating highly strung KTMs and the like, it’s good to see a company like RRP taking on less flash but more affordable travel bikes like the CB-X. Back on the ride, I pulled over to have a closer look. On its 17-inch wheels the 500X is low on ground clearance. Down below the cat or collector box is on a level with the sump (right), though that’s nothing a slab of 5mm of dural couldn’t see to. 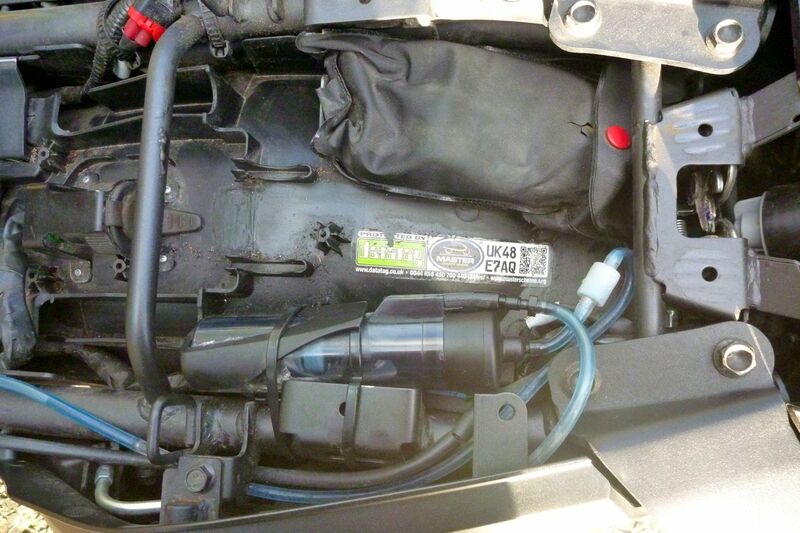 Under the seat – good lord, an actual toolkit in the grey PVC pouch that Honda have used since Fritz Daimler crammed a steam iron into his pushbike. 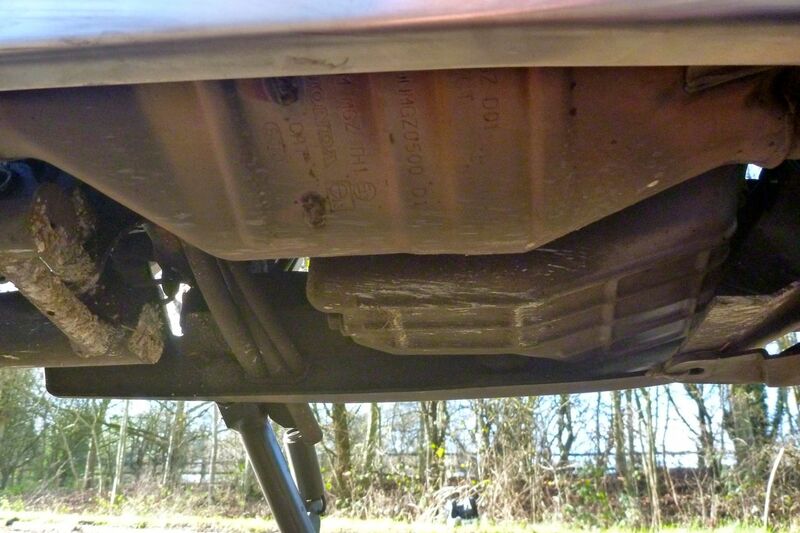 What I could see of the subframe looked chunky enough for luggage duties. 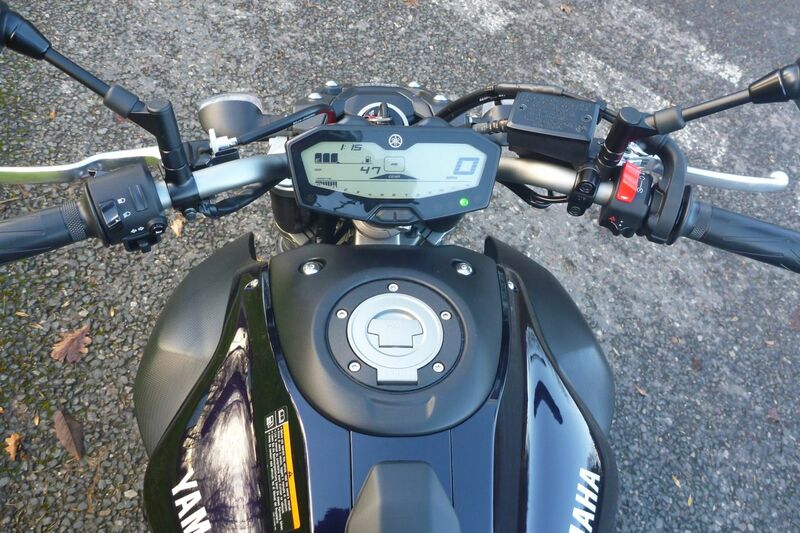 Over on the dash, there’s more data than my XCo: digital rev counter, clock, fuel gauge, trip, current/average mpg – all good once you decode it. And for a bike that’s put together in Thailand or China or a bit of both, the fit and finish was reassuringly solid – better than my BMW. With its 17.5-litre tank you imagine the CB-X could get up to 400km (250 miles) to a tank without too much effort (in fact make that nearer 550km). Clad in dark grey plastic, I like the angular ‘early-Batman-movie’ styling too. Interestingly, the previous owner (‘a younger person’) PX’d this bike for an Integra super scoot. Is there a message there? I came back to the shop liking this 500X, especially when the Doble’s bloke told me it was going for just £3800 – a price forced down by a couple of other used 500Xs in the showroom and the free luggage they’re now giving away with new ones. It’s definitely the closest thing to a modern GS500R I’ve tried. 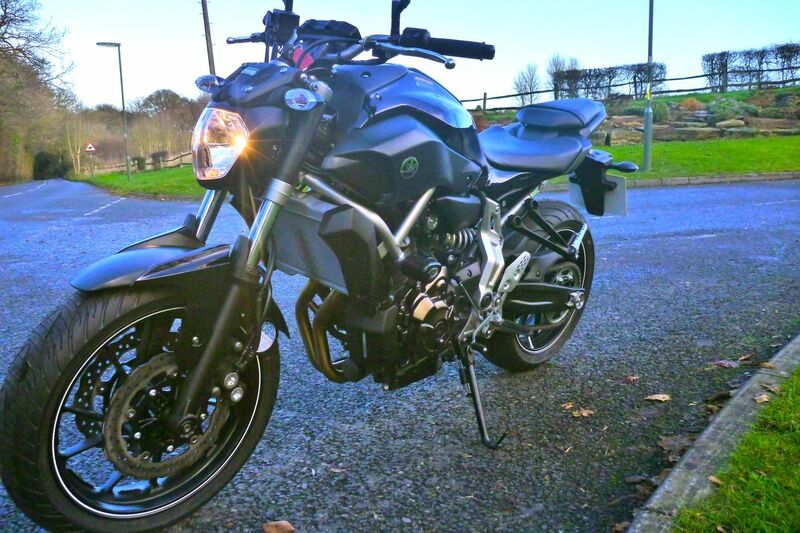 Yamaha MT-07 What has Yam’s hit of 2014 got in common with the Honda CB500X you’re thinking? For me it’s solely about the motor because clearly extruding as 07’s suspension and slapping on bigger wheels (as I did on the disposable GS-R) won’t make an integrated gravel-roading travel bike any more than Frankenstein after a weekend trapped in a tumble drier. One limitation I have is nowhere but a South London pavement to work on my bikes – or a mate up in the Midlands to do basic fabricating. That factor curbs what I dare get involved with. As expected, the second the bloke fired up the MT’s engine I got it, I got it all: that intoxicating offbeat throb held a promise of good things to come. This was a short ride on a bike less than 100 miles old along grubby country lanes and speed-humped roads littered with wet leaves and still damp in the shadows. They led to the old B2031 out to Kingswood and Box Hill where I recall trying out a booming J&R cannon on my XT500 nearly 40 years ago. In these conditions I distinctly felt that this ‘Big Bang’ traction theory had something going for it. 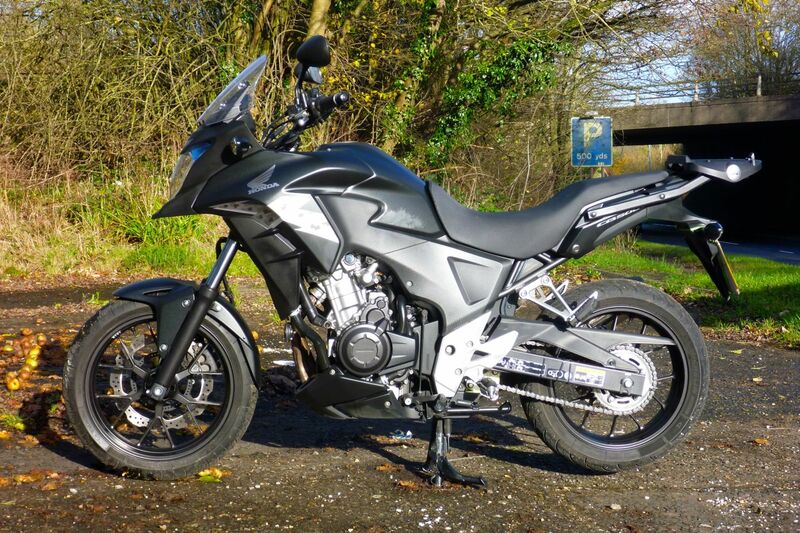 There was a sense that the engine power pulses made it easier to feed and feel the traction, compared to the electric-smooth Honda I’d ridden an hour earlier. And the fantastic but non-offensive sub-J&R exhaust note had me blipping the throttle between gear changes just for the sheer fun of it. The short pipe holds another trick: escaping gases briefly throb against your dangling heel as you pull away. In my demi-euphoric daze I saw that as consolidating the bond with the characterful machine rather than the inconvenience of melted Derriboots and flaming socks. 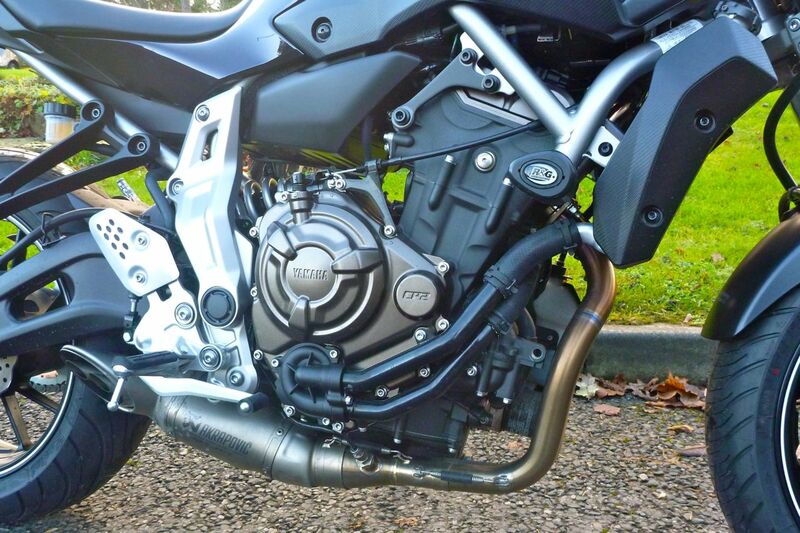 It was only when I looked at my photos that I realised the shop had slipped on an Akrapovic pipe on the sly – though they’re actually giving them away with new bikes. They claim 76hp and a wet weight of 180kg. I can’t say the 07 felt like it ran over 100hp/litre but who cares – the odo was still in nappies. It’s the feeling you get playing tunes on the gearbox that counts: you’re gunning around to please your senses not for acclaim. 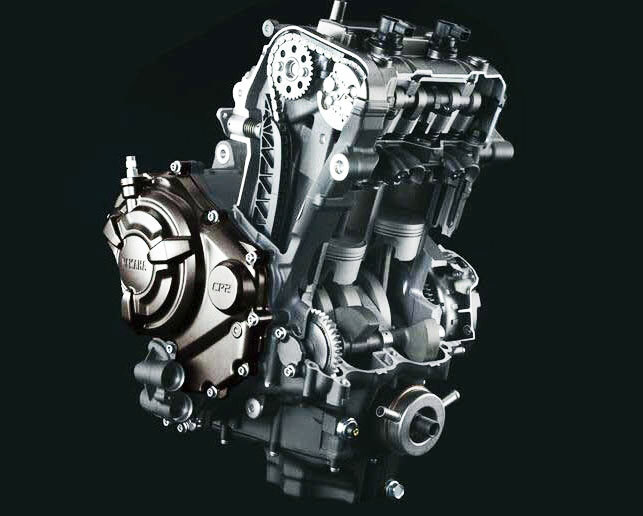 Like I said, magic-ing up a V-twin feel in a compact parallel twin motor is inspired. The rest of the MT was not so interesting to me. The profile is cool but as soon as that currently fashionable drooping headlamp cowling comes into view I gag. Swap it out for a used XS850 lamp, quick. Along those bumpy, ill-maintained Surrey lanes and suburban speed bumped avenues, the suspension felt harsh and the seating position would have taken some getting used to. But bear in mind I’ve been riding a trail bike with the full Hyperpro set up these last few months. Anyone remember the 660 MT-03 from 2005? Back at Lamba Motors in Carshalton, (this demonstrator is being sold shortly for around £5k) we talked about the possibility of Yamaha Tenere-ising the MT-07 in the future. 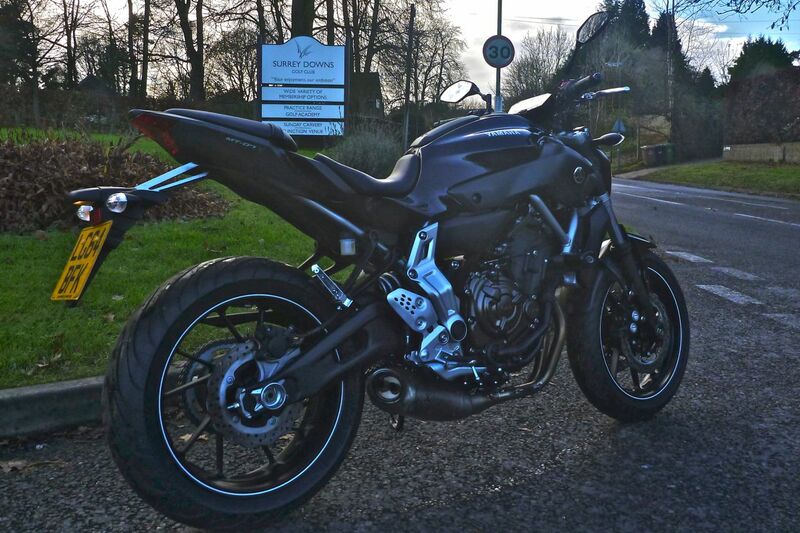 The guy told me that the old XT660Z – which now sells for the same price as the MT – was reaching the end of the line and also that, for the first time this year, he actually had an 07 sitting in the showroom. Up to that point they were pre-ordered and out the door. 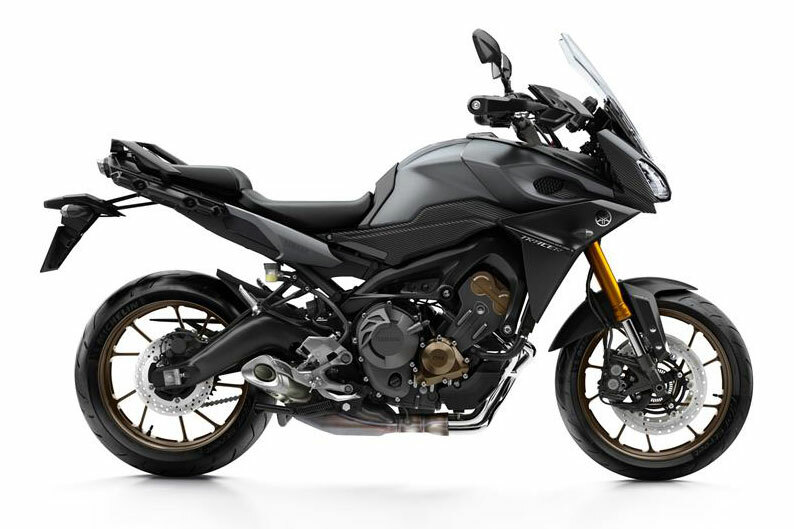 Yamaha have recently semi-adventurised the MT-09 triple, calling it a Tracer (left). 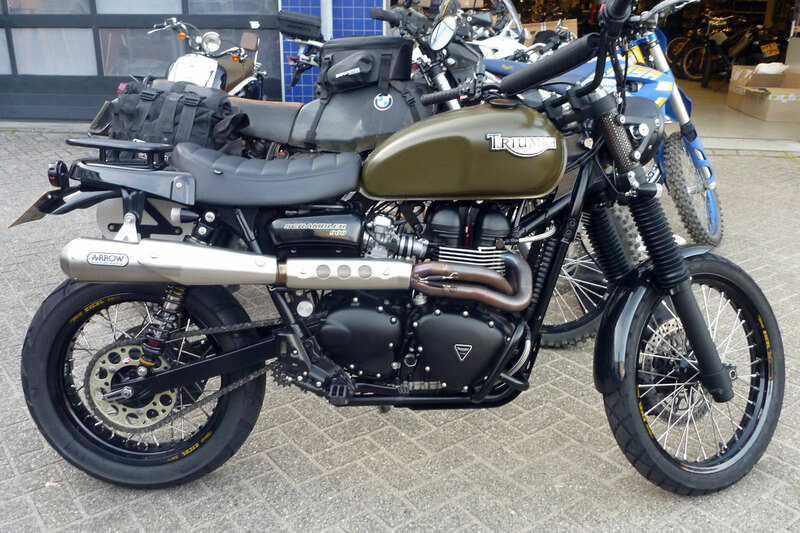 That included giving it a bigger tank, a fairing, a tad less caster and trail, a higher seat – but also 20 extra kilos and still on 17-inch wheels. 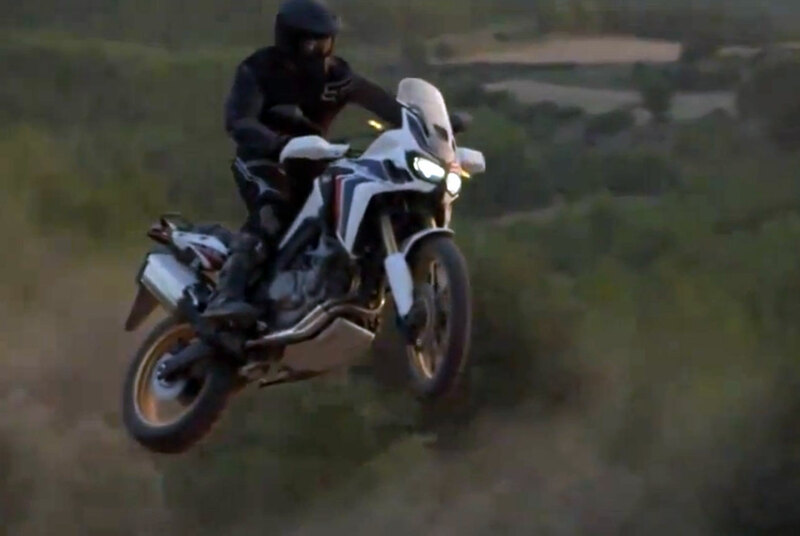 So that means something similar may well happen to the smaller MT twin – something like the 500X in fact, but a whole lot more fun to ride and listen to even if what’s really wanted is a new, full-on XT700Z. You do wonder if in the short-term they might just keep it simple and Tracerise the 07. 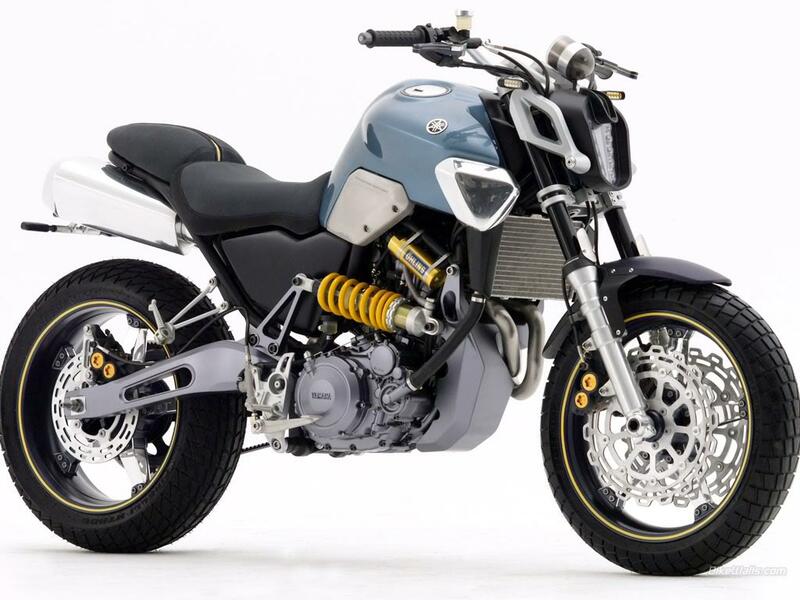 That’s a great shame as a properly executed MT-07-engined Tenere would for me be a perfect travel bike or at least something on which to build. 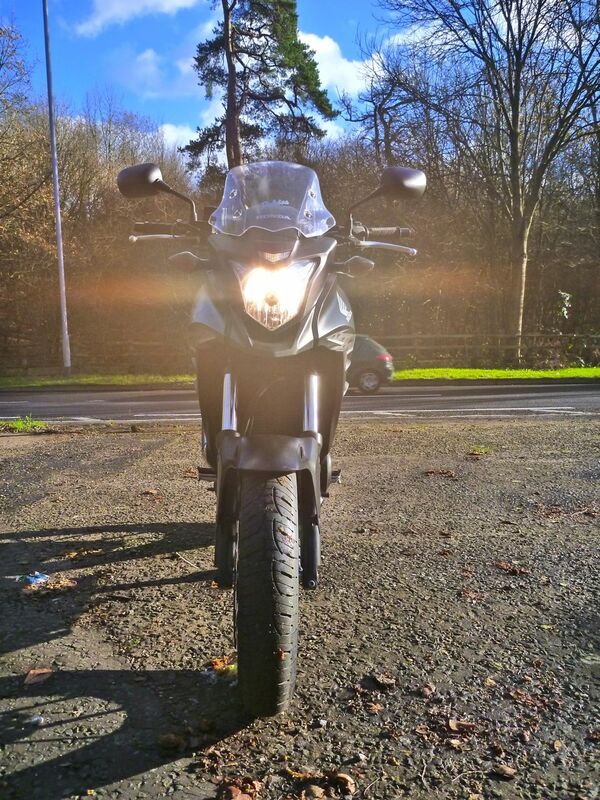 So for me the 07’s perfect engine put the Honda in the shade, but it’s a 500X-type bike I’m after (with RRP parts to finish the job). 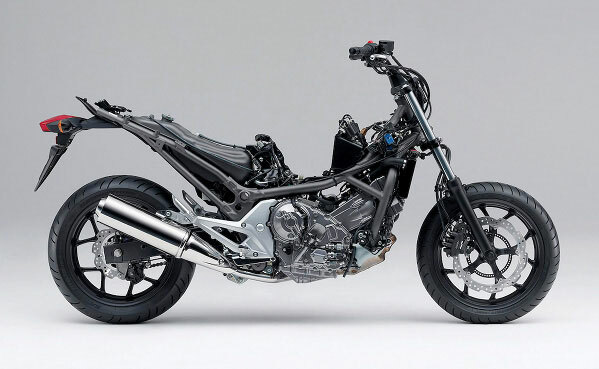 If only Honda had taken the risk and offset one CB-X crank by 90° I’d have bought that bike on the spot. Instead I’m looking at TDMs – very few bad things are said about them. 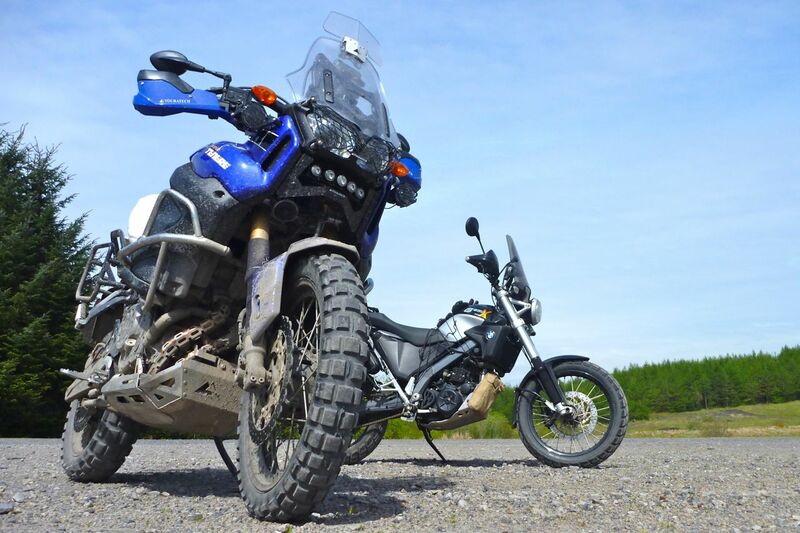 But in the 900 injected form, it’s a huge ugly slab of a bike and more than I need even if, as with the GS500, used prices are low enough to risk experimenting (left) with negligible depreciation to make something that looks a little more agile. PS: A short while later I did briefly run a TDM900: more here. 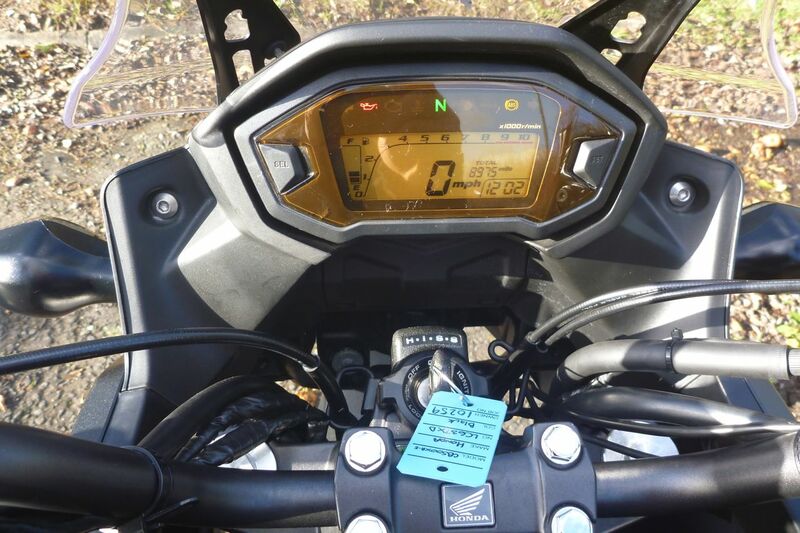 This entry was posted in AMH News, Project Bikes, Suzuki GS500R Overlander and tagged 270° crank, CRF1000L, CRF1000L Africa Twin, Ducati 900SS, Honda CB500X, Honda NC700X, kinergy, MT-07 Tenere, Neanderthal amygdala, Yamaha MT-07, Yamaha MT-09, Yamaha TDM. Bookmark the permalink.